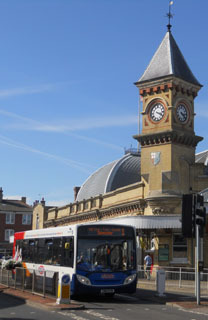 Although 2012 had the wettest April and June on record, there were some sunny days. 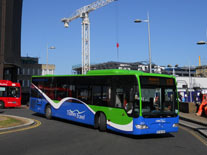 Top left: Stagecoach has been introducing Scania Enviro300's throughout its fleet including 28608 (GN61EVM) seen at Eastbourne station in August. 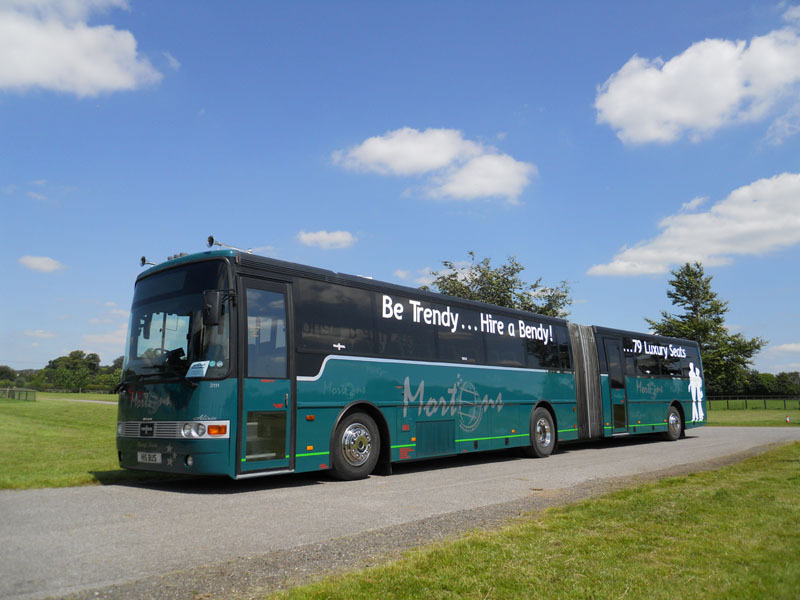 Top right: Mortons have bought this former Ulsterbus VanHool Volvo artic H15BUS seen at the Bus&Coach Preservation rally at Newbury Showground in July. 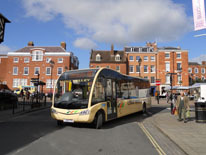 1st row left: Ludgate is a picturesque town in Shropshire and and is served by several independent bus companies, such as Lugg Valley whose YJ62FFN, an Optare Solo SR, is seen there in September. 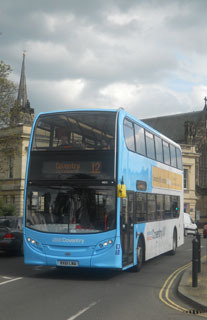 1st row right: Also in Ludlow is Minsterley DX12OVY, a Wright bodied Volvo. 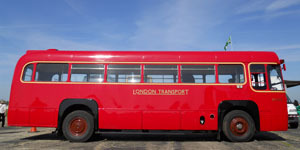 2nd row left: During the Olympics, Stagecoach cascaded vehicle in its fleet to keep certain types in the same location. 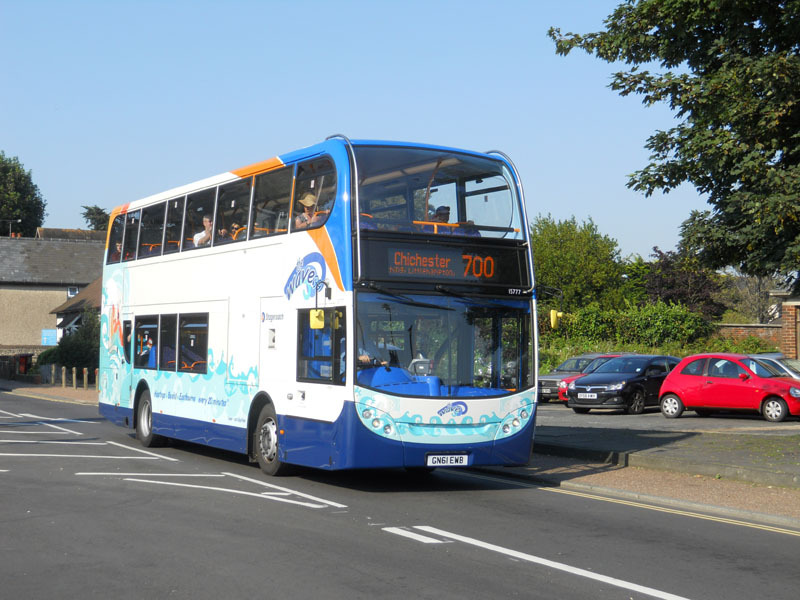 Stagecoach South East 15777 (GN61EWB), a Scania Enviro400 branded for the Eastbourne to Hastings service, is seen on loan at Chichester on the 700 Brighton to Southsea route in July. 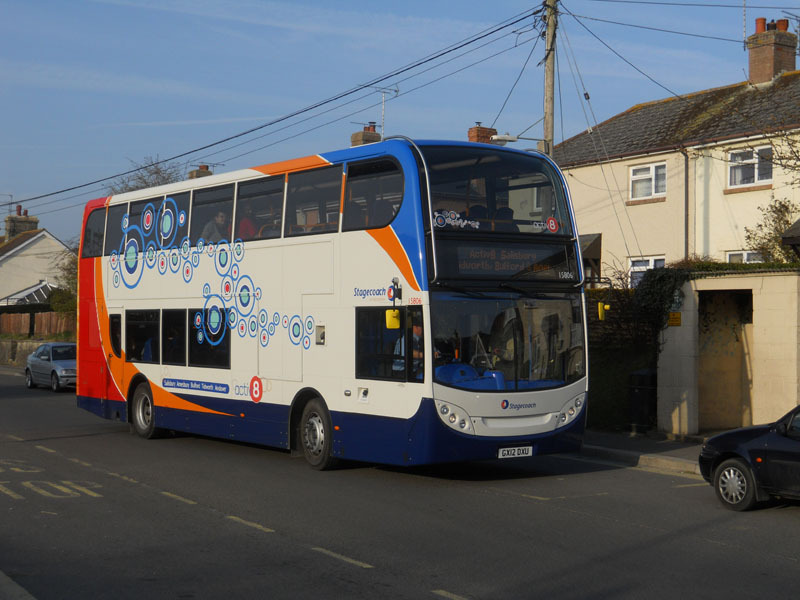 2nd row right: Stagecoach Hampshire 15806 (GX12DXU), another Scania Enviro400, is seen in Durrington branded for the Andover to Salisbury route in March. 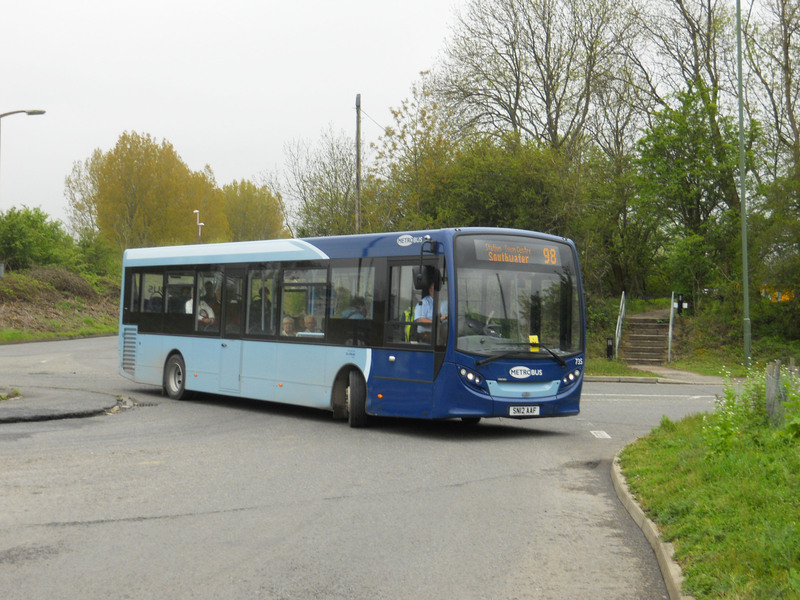 3rd row left: Reading 155 (RX12DYW) a Wright Streelite outside Asda in Lower Earley in May. 3rd row middle: Rotala-owned Wessex Connect BX52FZL, a Scania/Volvo, at Bath University on the Park and Ride service in December. 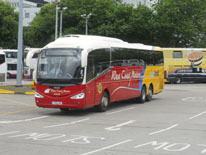 First also operate a Park & Ride service using artics. 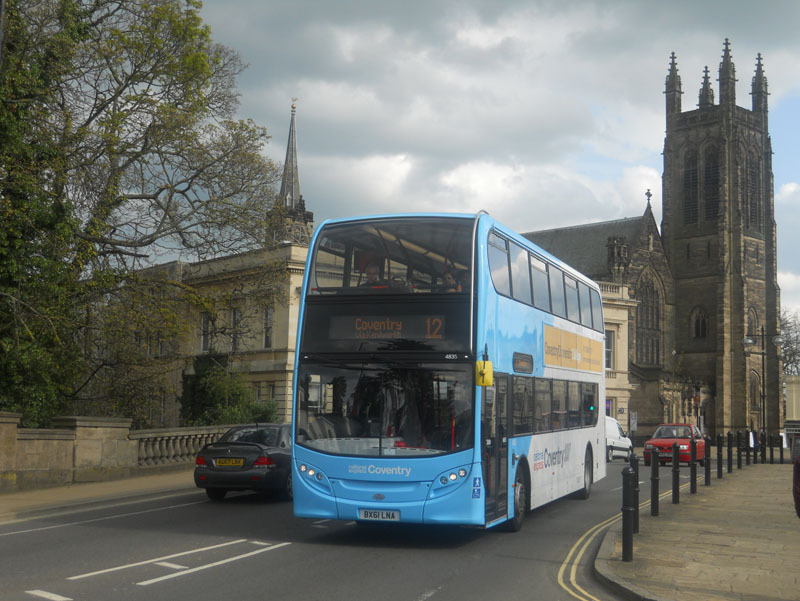 3rd row right: Go Ahead have been transferring vehicles from within the group to Thames Travel, including OF56OXF, a Merecedes Citaro which started life with Oxford. 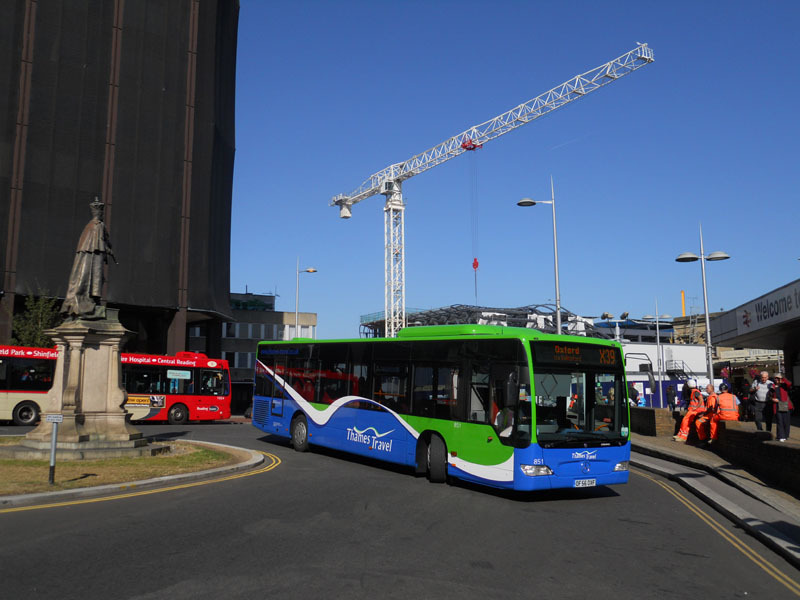 It is seen outside the new Reading station building works in September. 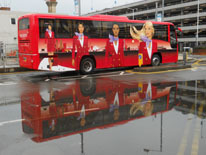 There was no shortage of interesting liveries in 2012. 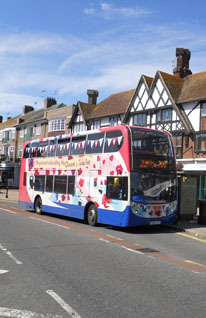 Top left: It was the Queen's Diamond Jubilee in 2012 and a handful of operators celebrated the occasion by applying special livery to a vehicle. 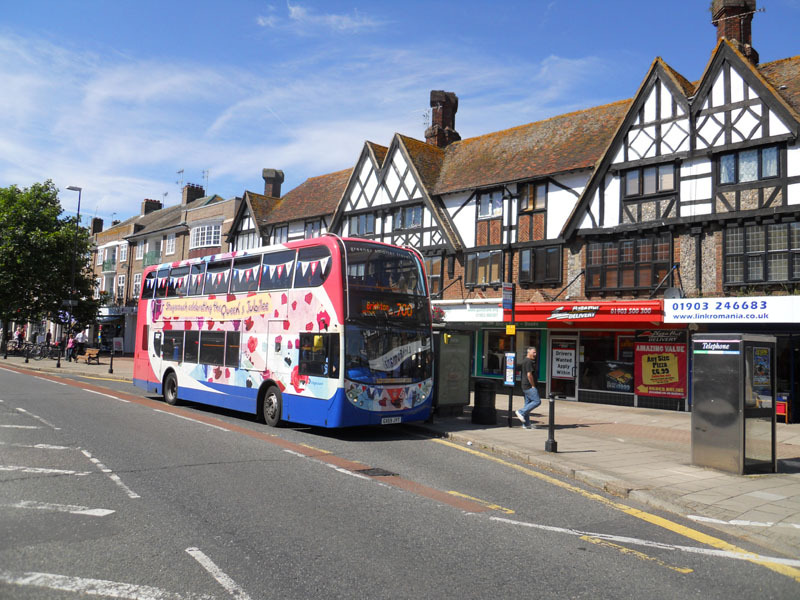 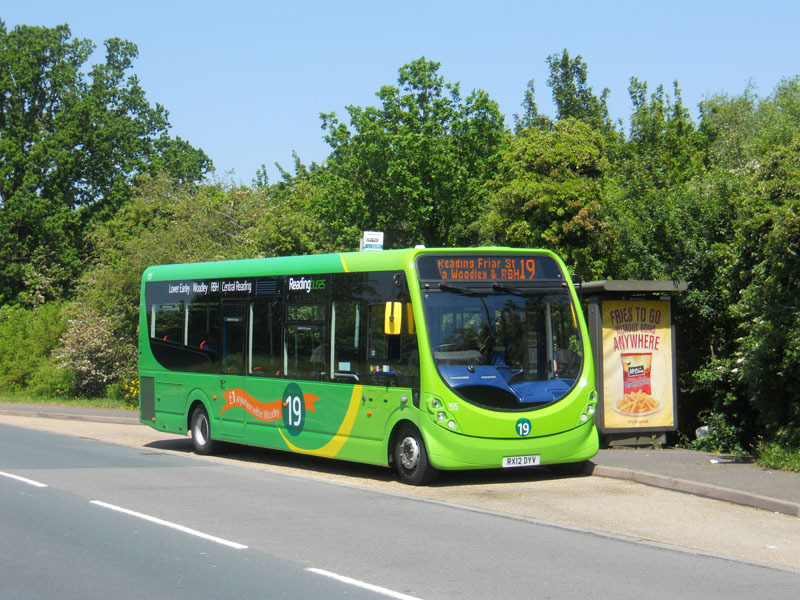 Stagecoach South 15586 (GX59JYT), an Enviro400, is seen in Goring-By-Sea in August. 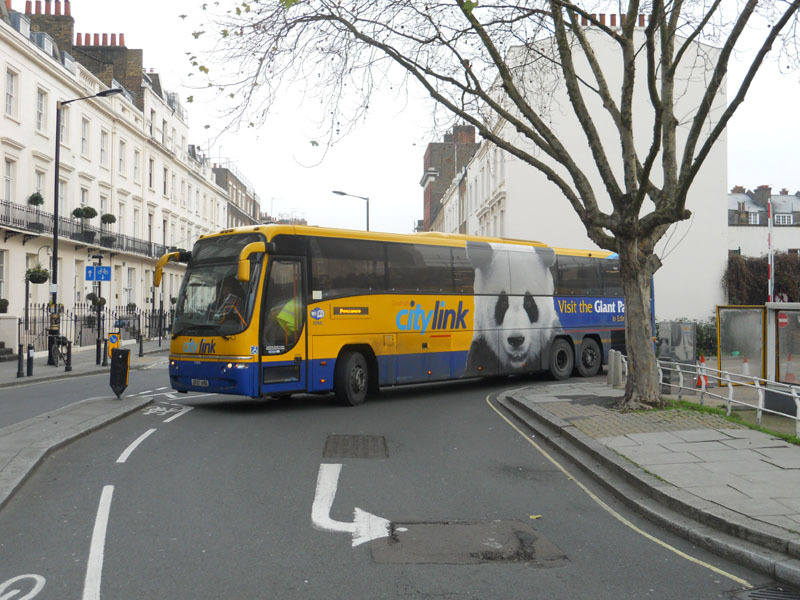 Top right: Stagecoach 54028 (SF07AMX), a Plaxton bodied Volvo, one of four Panda liveried vehicles for Edinburgh Zoo, seen leaving Victoria Coach Station in London on a National Express service to Penzance in December. 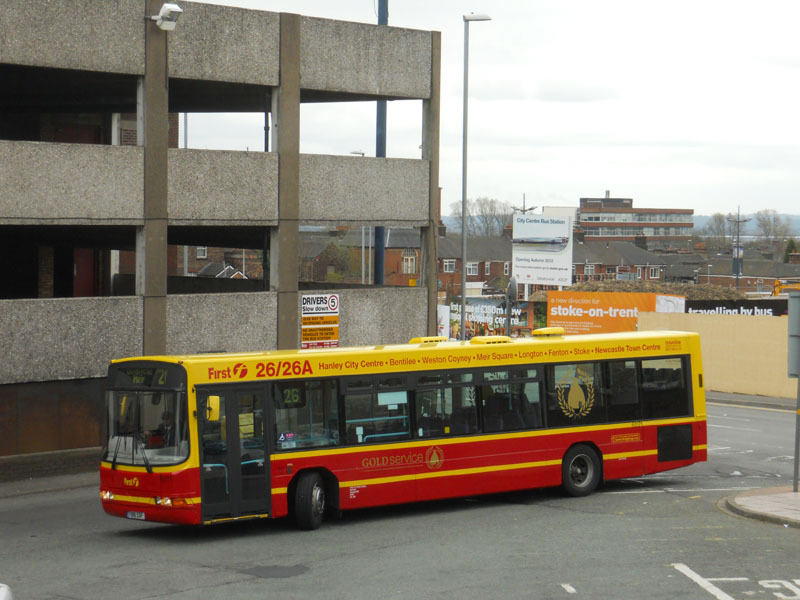 1st row left: First Potteries 60171 (T918SSF), a Wright bodied Scania in PMT privatisation livery in the now closed Hanley bus station in April. 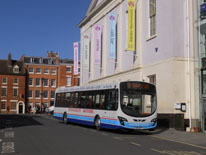 1st row right: Another operator to paint a vehicle in traditional livery was Stagecoach Cumberland whose 34702 (PX05ENE), an Alexander bodied Dart, is seen in Carlisle in September. 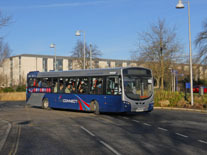 2nd row left: Travel Dundee introduced a batch of new Scania bodied Volvos with characters from the Beano on their sides. Their 2046 (SP61CUA) is seen in Dundee in September sporting Oor Wullie. 2nd row middle: Tellings Golden Miller KX61JVP in Virgin livery at Heathrow Airport in July. 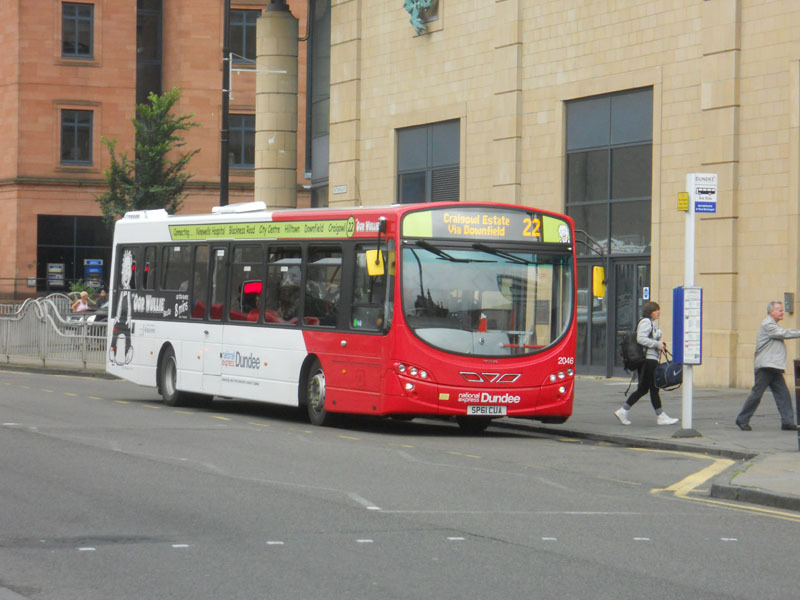 2nd row right: West Coast Motors has painted more of its fleet in joint Citylink livery such as Irizar bodied Scania YT11LVH, seen leaving Glasgow Buchanan bus station in September. 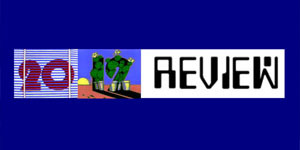 A round up of other news events in 2012. 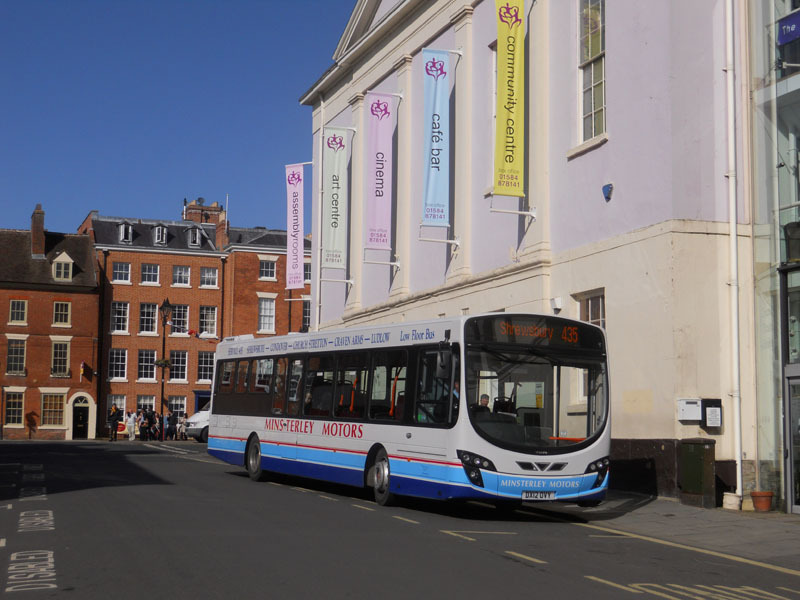 Top left: Travel Coventry 4835 (BX61LNA), a Dennis Enviro400, in Leamington Spa in May. 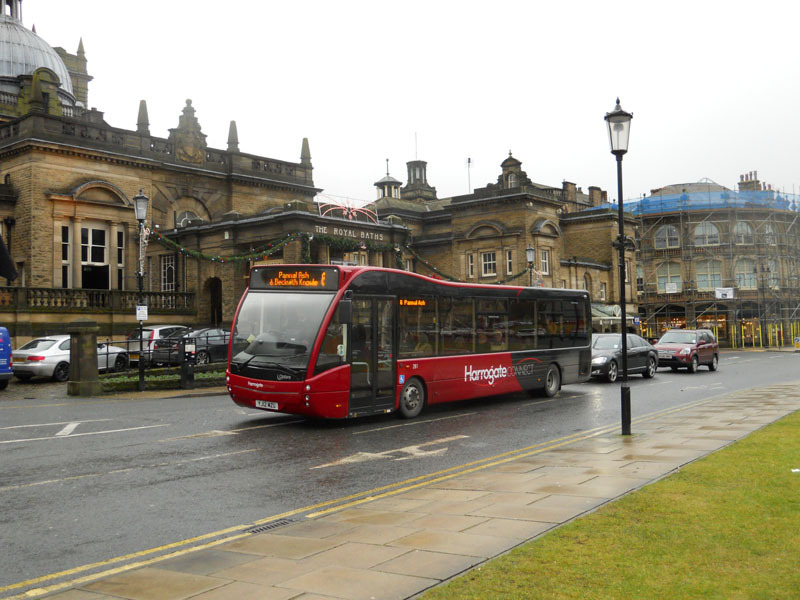 Top right: Harrogate & District 281 (YJ12MZU), an Optare Versa, in Harrogate in December. 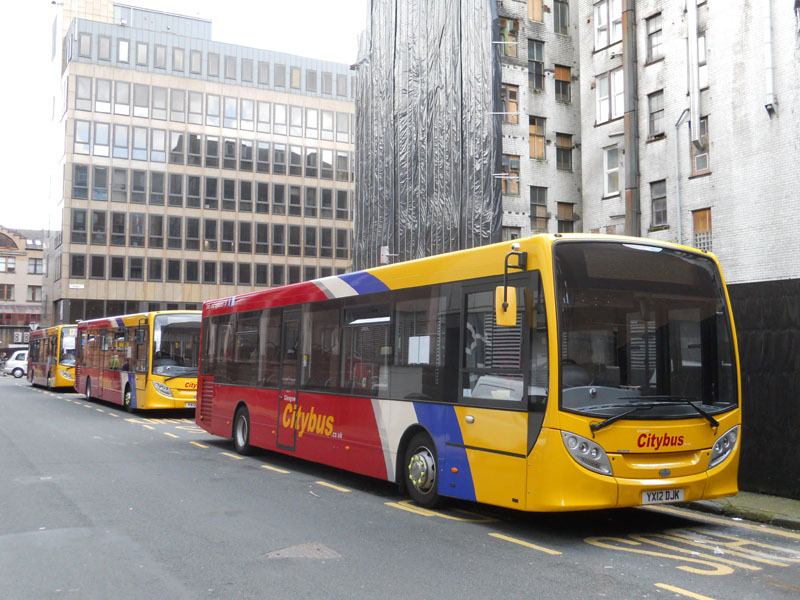 1st row left: Glasgow Citybus YX12DJK, a Enviro200, at its terminus near the old Anderston X bus station in Glasgow in November. 1st row right: Metrobus SN12AAF, an Enviro200, at the Horsham Park & Ride site in May. 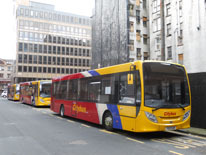 2nd row left: First Leeds 19006 (MH06ZSP), a Wright bodied Streetcar, that began life in York and is now operating a branded service between Leeds and Bradford, seen in December. 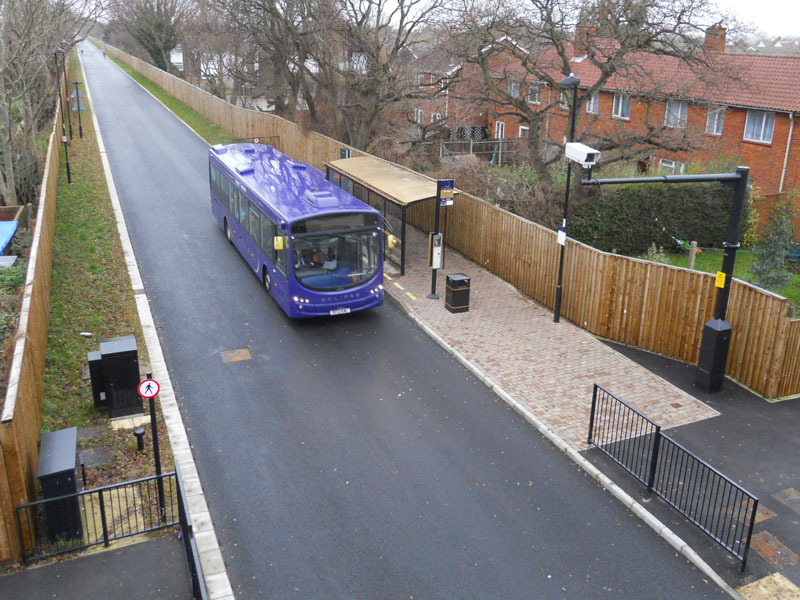 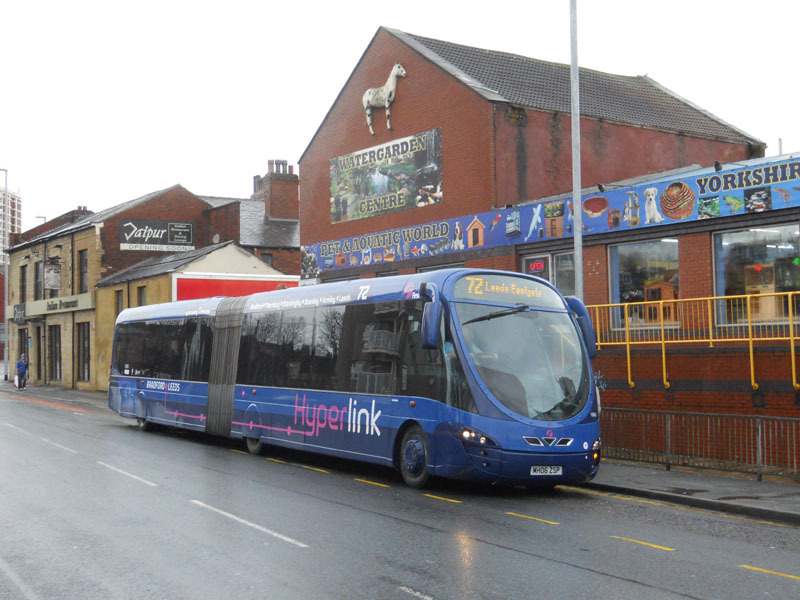 2nd row right: The BRT scheme in Gosport opened in 2012. 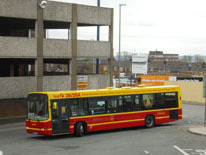 First Hampshire 69546 (BF12KWL), a Wright bodied Volvo is seen on a bitter Sunday in December. 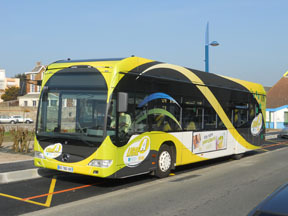 Boulogne has added to its already interesting fleet with the purchase of BS780VK, a Citaro BHNS (bus à haute niveau de service) seen at Wimereux in March. 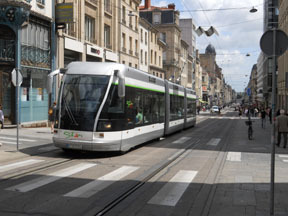 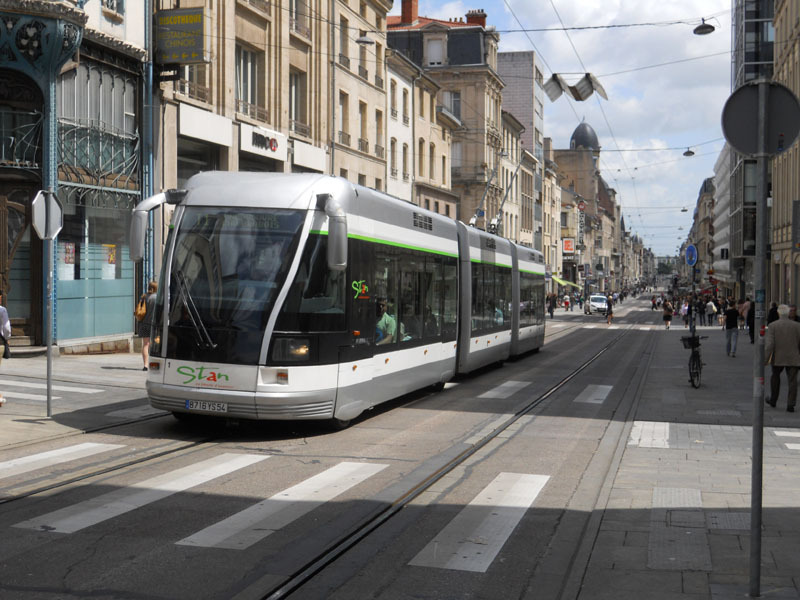 The tram system in Nancy, established in 2000, runs on rubber tyres and has been plagued with problems, which are now being sorted. 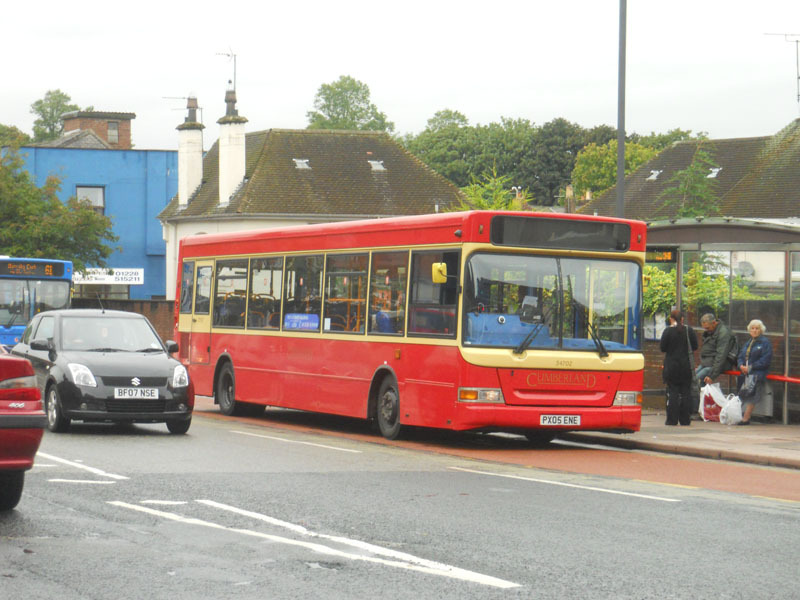 STAN 8716YS54 is seen in the city in June. 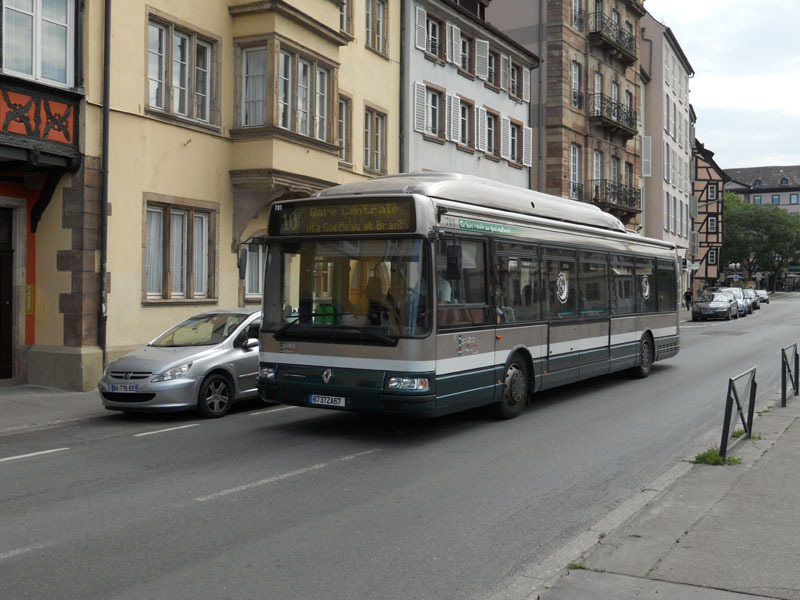 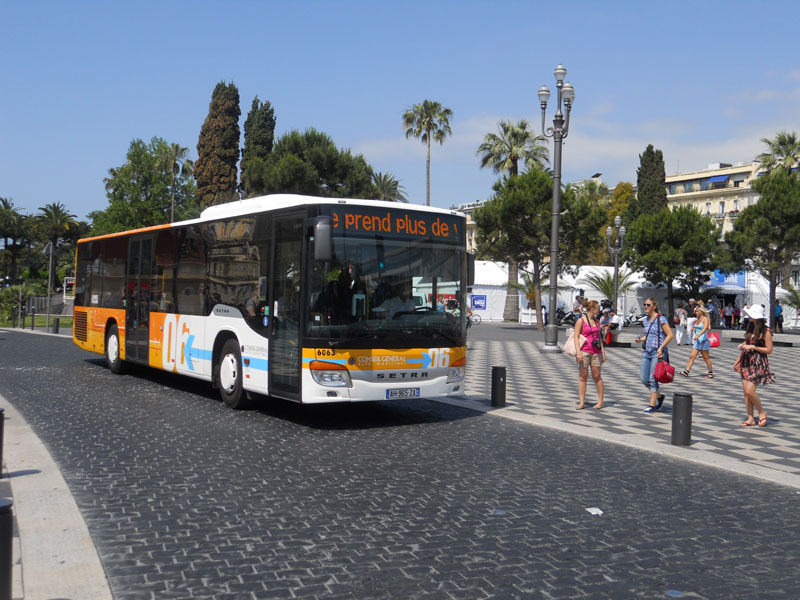 Strasbourg, home to the European Parliament has hybrid buses and gas buses such as 8737ZA67, see above in the Asacian capital in June. 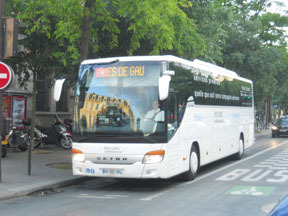 Air France has for many years operated Renault FR1 coaches on their services from Paris city centre to the airports. 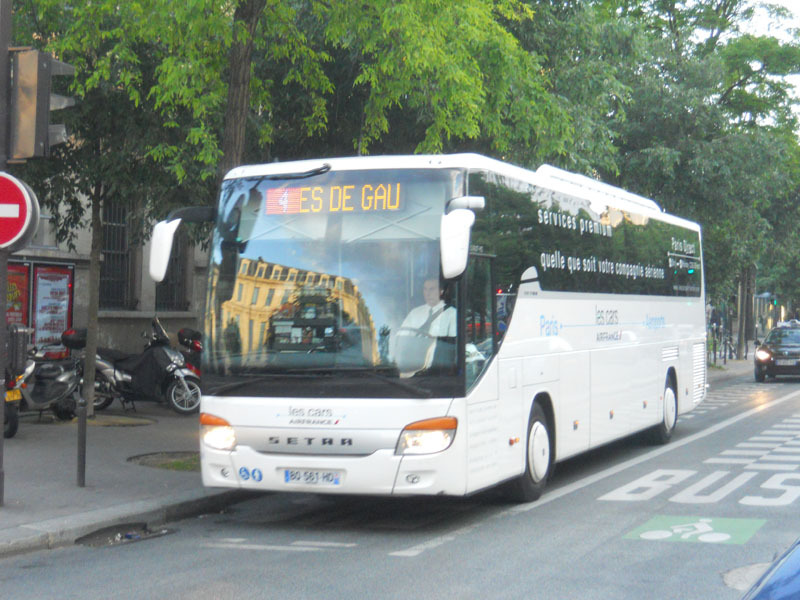 However recently they have been replaced by Setras such as BO561HD, operated by Keolis seen in June. The lamentable bus station at the Acropolis in Nice has been bulldozed into oblivion. 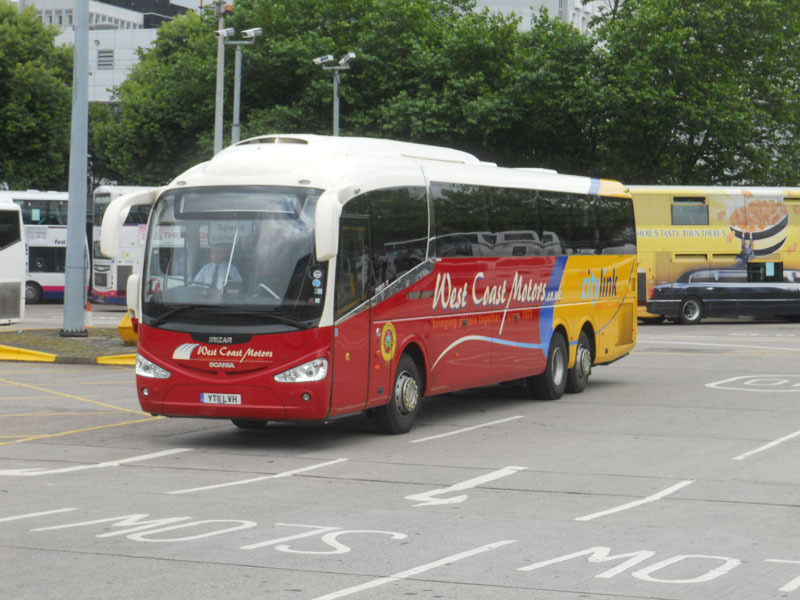 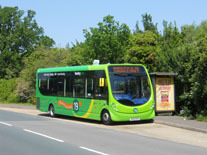 Operators such as RCA, whose Setra AH965ZA is seen here in June, are using street stops temporarily. 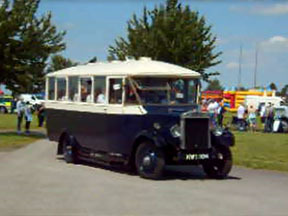 Bradford Schools & Education Board 023 (KW7074), a Leyland Badger from 1930, at the Bus and Coach Preservation rally in Newbury Showground in July. 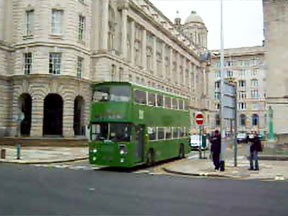 Merseyside 1236 (BKC236K), an Alexander bodied Atlantean, at the running day in Liverpool on Easter Sunday. If you enjoyed the above article you may be interested in these articles which were first published in February 2012 and January 2013.